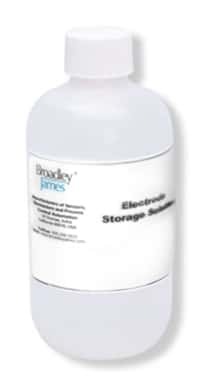 Broadley-James now offers electrode storage solution. Potassium Chloride (KCl) solution is the first choice for storing FermProbes®. If this is not available, buffer solution can be used. NEVER store pH electrodes in deionized (DI) water.